Day 11 – A picture of your favorite band or artist. Impossible to narrow it down to just one band or artist, so I am going w/ an oldie but goodie. 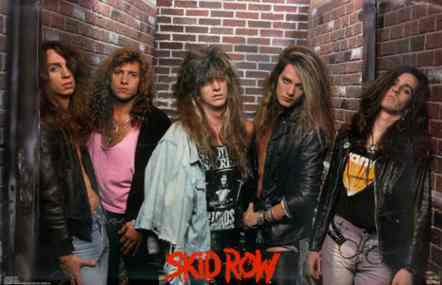 Skid Row, I was bound and determined to marry Sebastian, and names my favorite stuffed animals after the guys. I love Skid Row. Hubs called me today and said “How long has it been since you heard this song?” Wouldn't you know it I Remember You was on the radio. Oh I love that song.